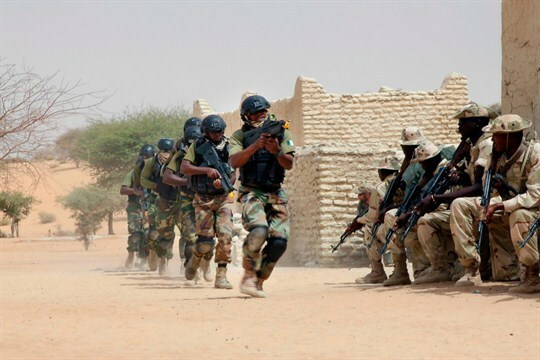 Nigerian special forces, Chadian troops and U.S. advisers participate in the Flintlock exercise, Mao, Chad, March 7, 2015 (AP photo by Jerome Delay). Reports out of Washington suggest that the Pentagon is considering cutting U.S. counterterrorism operations in West and Central Africa, redirecting the special operations forces there to instead prepare for big wars. In one sense, this is perfectly normal—the Department of Defense constantly adjusts its posture and procedures as security threats evolve. But in this case, downsizing America’s military commitment to Africa may signal something bigger, indicating that President Donald Trump believes it is time to take his administration’s foot off the gas in the global conflict with violent jihadism.